By 2016, 88% of local advertising will be delivered on a mobile device. Our built-in marketing platform communicates directly with your customers. 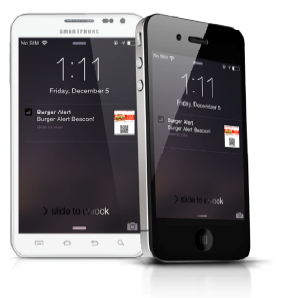 Create & customize mobile coupons and/or text promotions. Customers are connected to your business utilizing a unique code. This allows us to track their spending back to your business. Our platform automatically captures your customers data allowing you to re-market to them. The mass adoption of social media, tablets and smart phones is driving demand for these solutions. Companies want to improve in-store customer experience and collect data on their customers. Black Frog Technologies provides the infrastructure, collection of “Big Data” and a platform to help automate these solutions. OUR MISSION – SERVE & EARN WITH HONOR!